Our professional and friendly staff concentrates on excellent service and the quality of your care. Teeth that have been damaged, worn, or suffered major decay can be totally restored to their original beauty and functionality with a crown. 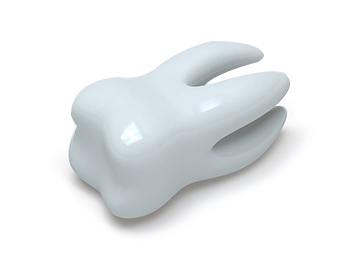 Crowns, known also as ‘caps’, are ideal not only for enhancing the appearance of a damaged tooth, but for protecting the remaining root and tooth soft tissue as well. Crowns are made of porcelain or precious metals, or a combination of these materials. Crowns are also used to cover discolored fillings and to add strength to a weakened tooth. A bridge is a specialized dental appliance that is essentially two caps, joined by one or more false teeth that are set on the teeth framing a gap in between your teeth. Bridges are used when one or two teeth have been lost on one side of the mouth and functionality and appearance has been compromised. Bridges allow you to eat without damaging existing teeth or gums as might be the case when the gap is left unprotected. This appliance supports your existing teeth and helps them maintain their proper alignment as well. Your bridge is created from impressions your dentist makes of your teeth, so your caps are a perfect fit. Once in place, your dentist will ensure your bite is correct with your new bridge. Plaque, a film of bacteria that forms continually on the gum and teeth surfaces, is the culprit that causes gum disease. Plaque itself is not actively attacking your gums or teeth, but over time, it will accumulate and create inflammation which can lead to bleeding and tiny open wounds in your gums which can become infected. Left without treatment or removal through regular brushing and flossing, plaque will cause gum disease that can lead to tooth and bone loss and painful abscesses. 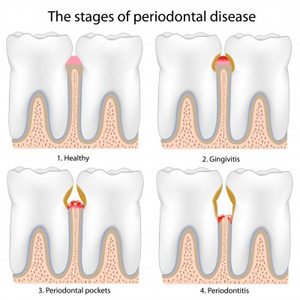 Your first sign of gum disease may be tenderness and some light bleeding when you brush your teeth. Please visit your dentist if this happens – you will probably only need a simple cleaning to set you on a solid path to good dental health. Tooth Decay, early detection of tooth decay is vital to maintaining good dental health. Your dentist can perform painless exams of each tooth using powerfully lit magnification tools and a series of X-rays. Your teeth may seem fine outwardly, but tiny spots of decay can exist that are invisible to the unaided eye. X-rays reveal decay under your tooth enamel, infection of your tooth root, and bone loss around a decaying tooth. Detecting decay while it is in the early stages allows your dentist to treat the problem and prevent further damage to the tooth and surrounding tissues. Left undetected and untreated, tooth decay leads to serious health problems that require extensive and expensive treatments. Visit Jackson Creek Dental Center frequently for scheduled decay detection appointments for good preventative dental health. A sharp pain experienced after drinking a hot or cold drink can indicate the presence of a sensitive tooth. A simple test to see if your teeth are sensitive is to run your fingernail gently around where the teeth meet the gum. A sensitive tooth may respond with a short, sharp pain. Let us provide you with an assessment to ensure that we remedy your sensitive teeth condition. Your Children’s Dental Health is Important at Jackson Creek Dental Center. Childhood has been identified as the most important period in a person's 'dental life'. We have found that even when children have been to the dentist before, they often do not know what to expect when they come to see us. On the first and all subsequent visits we aim to provide children with full information about the visit, to help them overcome their anxieties. We firmly believe that this approach prepares the child to enter adulthood with a positive attitude towards dental health. A Root-Canal Treatment removes the pulp of the tooth, including the nerve and blood supply from a decay or damaged tooth. A local anesthetic is used and it will feel the same as having an ordinary filling done. If it is left untreated the pulp becomes infected and may spread eventually leading to an abscess. An untreated, the infection will spread and the tooth may need to be removed. Root-Canal Treatment eliminates pain from the decay or damaged tooth which may have resulted in an abscess or swollen pulp and is the state before a crown is placed on top as a cover. When a tooth becomes so decayed that it is non-restorable, an extraction is necessary. You can expect for the extraction site to bleed for a little while after the surgery. Gauze will be applied at the completion of the surgery, and you will need to change it when it becomes soaked. If bleeding continues for longer than 24 hours you should call us for a follow-up appointment. Rest when you return home, do not lie flat. this could prolong the bleeding. Prop your head up on a pillow when lying down. We will prescribe you pain medication, so if you become sore take as directed. You can also use an ice pack for the pain. When drinking, make sure you do not use a straw. The sucking motion can loosen your sutures and slow the clotting process. The same goes for smoking. If you have prolonged pain, bleeding, irritation, or don't feel that the extraction site is healing properly call us for a follow up. Specializing in: General dentistry, crowns & bridges, children's dentistry, Periodontal therapy, root canal, extractions. © 2015 Rio Star Publishing. All Rights Reserved.